Fancy an ice fix? Many ski resorts have indoor and outdoor ice-rinks but some just have a little something extra. Check out OnTheSnow’s favourite ice-rinks in the mountains . 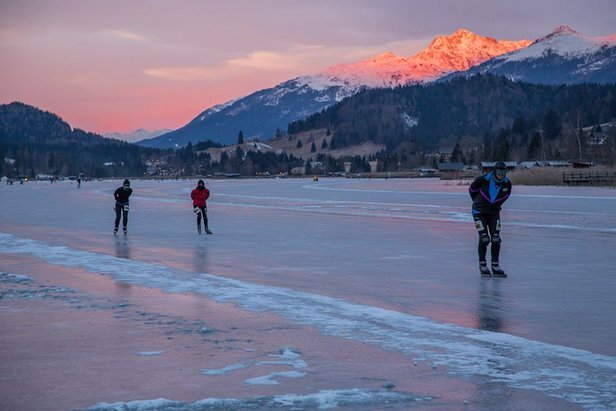 . .
For the best natural ice-skating, Carinthia is hard to beat. The ruggedly beautiful Lake Weissensee, surrounded by jagged peaks, has a special atmosphere which draws hordes of people. Lucky then that it’s huge. The closest ski resort is the small resort of Weissensee, but a free bus ride away is Carinthia's largest ski resort, Nassfeld. At 6.5 km2, the lake is the largest natural ice-skating area in Europe. It’s thick too – up to 40cm – and can carry horse drawn carriages. The lake is separated into rinks for curling, cross-country skiing and an ice golf course and is open all season. 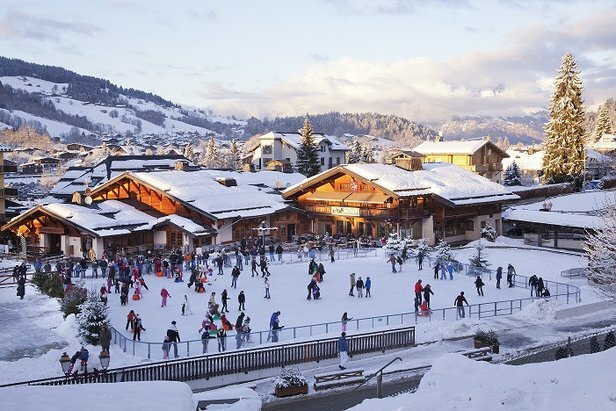 Chocolate-box Megeve has everything you could want in a resort and more, and sitting pretty in the middle of its quaint square, is a cute outdoor ice-rink. With a bar close-by and plenty of shops, restaurants and a cinema showing French films, you’ll feel as though you’re starring in your own movie set. The rink is open daily from 2pm to 8pm and on Tuesdays from 2pm to 6pm with special children’s session from 6pm to 8pm. Set against a fairy-tale backdrop, Leon Black Family Ice Rink is a magical ice rink with plenty of character. The rink offers exciting weekly themed skating events, from the colourful American Juke Box Skate Night to the fun Family Night, and serves as the focal point in a pretty village that is full of traditional architecture. 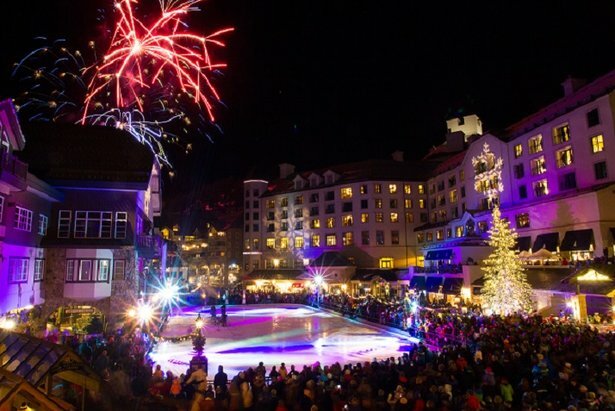 The rink is surrounded by restaurants, shopping and lodging options and there are several fire pits around the ice rink where visitors can warm up with friends. There are also some rather nice rink-side couches to get comfortable. The ice rink is open daily during the winter season. Uncrowded, pretty, and located 6km from Chamonix, Les Houches is a delightful ski resort. It’s best suited to beginner and intermediate level skiers; we rate the learner’s area at the top of the Prarion telecabin. The ice rink is situated in the centre of the village and is open throughout the winter season from late December to the end of March. Take advantage of the cosy coffee shop on the rink-side, which serves excellent hot chocolate, grab a pew, and take in all of the fast-paced action on the ice! Offering gorgeous views of the valley, the aptly named Sun Valley Outdoor Ice Rink attracts skaters of the highest calibre. The rink is famed for its Sun Valley ice shows where world-class skaters showcase their talent to lucky spectators. Every summer, the resort delivers a season bursting with creative shows highlighting new stars, innovative routines and fresh beats. If you fancy getting in on the action, former figure skater and Olympic silver medallist Linda Fratianne heads a fantastic team of skating professionals for group and private lessons. 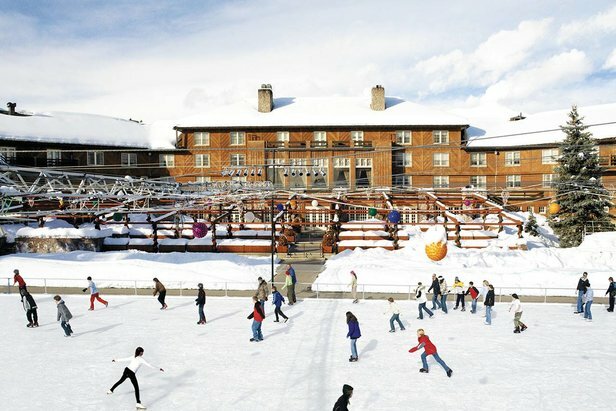 The rink is situated outside the Sun Valley Lodge and is open year-round to visitors. Canada’s highest ice rink is also a state-of-the-art Olympic-sized ice-rink. OK, while we’re not sure that state-of-the-art ice rinks exist, the facilities at Big White are on point. If you’re more Bambi on ice then a twirling sensation the friendly staff will hook you up with an ice buddy to help you find your skating feet. Scrumptious Belgium waffles and hot drinks are available in the Happy Valley Day Lodge and there’s a daily bonfire after 3pm at which everyone can mingle. The rink is fully lit for night skating too.